Competitors in this season’s 5Club MX-5 Cup are not only racing for 2016 championship points, but thanks to the support of Mazda UK they are now also battling for a once-in-a-lifetime chance to compete at California’s legendary Laguna Seca Raceway and be crowned as Global MX-5 Champion. Whichever driver is leading the hotly-contended 5Club Championship on the 30th May 2016 will head off to Barcelona courtesy of Mazda to test the newly-released 2016 MX-5 Global Cup car. This two-day European run-off and selection process will pit the 750 Motor Club member against other MX-5 racers from around the continent, in addition to leading digital iRacing MX-5 competitors. 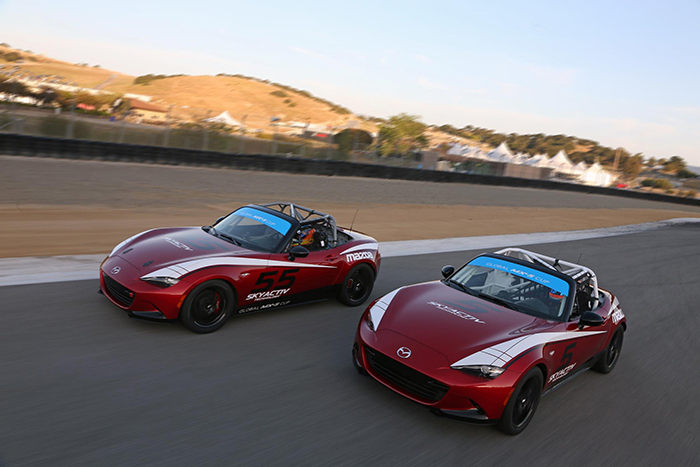 From this European final Mazda will select and offer five lucky drivers a seat in the prestigious MX-5 Global Cup at Mazda Raceway Laguna Seca in September, where MX-5 racers from Europe, America, Australia and Japan will come together to find a Global champion. 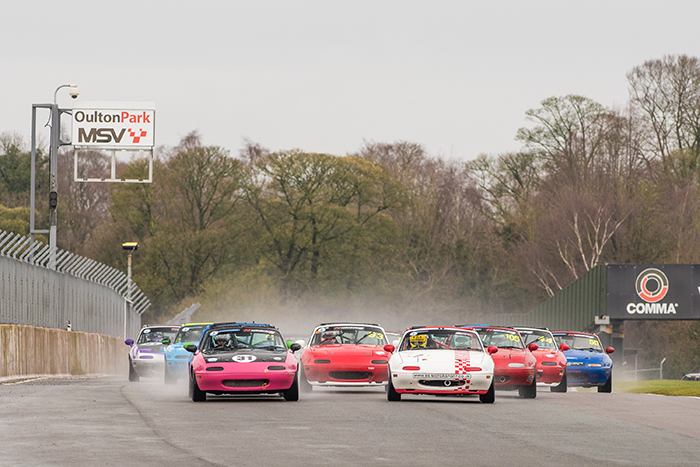 “This motorsport program highlights the MX-5’s racing pedigree and opens up some incredible opportunities for those who want to experience driving an MX-5 at the highest level” said Wojciech Halarewicz, Vice President Communications, Mazda Motor Europe. Based on the award-winning Mk4 Mazda MX-5, the Global Cup car has been developed in-line with the ethos of club-level motorsport. The model retains the Mk4’s 158bhp 2-litre engine but now runs on slicks and has a selection of choice upgrades including a sealed racing ECU, new exhaust, two-way adjustable dampers, Brembo brakes and RAYS wheels. The fully developed Global Cup car has already finished the 2015 Thunderhill 25-hour race in California and will make its one-make debut in the 2016 Battery Tender MX-5 Cup – Mazda’s official MX-5 Cup series in North America.